Audience loyalty: Media companies building real relationships with their audience is more important than ever. A lot of factors can impact the relationship between a publisher and their audience, including quality of content, uniqueness of voice, user experience, and ad strategy. Publishers will need to pay even closer attention to each, given the heightened value of audience loyalty. Publishers that are increasingly focused on an audience-first ad strategy will be well-positioned with the other trends we're seeing ecosystem-wide. 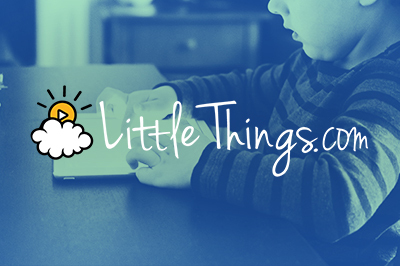 Diversification across all facets of business: LittleThings was an entirely ad-supported business (lack of revenue diversification) with audience that came almost exclusively from Facebook (lack of traffic diversification). In that model, which relies on two different, unhedged elements that are out of its control, LittleThings was placing an extremely risky bet. Clear dangers of building your business on top of other businesses: Self-explanatory, I hope! This has played out time and again in the digital ecosystem, including, famously, Zynga and Facebook. Programmatic Implications: LittleThings - and digital-first pubs in the same mold - are generally progressive and skilled when it comes to executing successful programmatic monetization strategies. Additionally, they have volume tonnage, see large traffic spikes, and have small or non-existent sell-through rates, all of which make them ideally suited for RTB-based markets. This is why similar publishers are frequently among the largest on various days on exchanges/SSPs and make up the some of the top spend outlets for DSPs. This being the case, if viral/social publishers as a category begin to decline, what could be the implications for remaining (more premium/traditional) publishers and exchanges? Premium Publishers: These publishers have historically been forced to compete with social/viral publishers for programmatic spend, given the generally audience-focused nature of programmatic ad buying. In fact, this competition is a well-documented source of frustration for most traditional publishers. If this competition starts to fade, premium pubs could be in a position to command this incremental spend. Of course, premium pubs will be hurt by the FB algorithm change as well, but those with strong audience loyalty will prevail with force. That said, in order to capture these additional dollars - the buy-side will need to adjust their strategies to some extent. This may be a natural result of the Facebook algorithm change, though it remains to be seen. Exchanges: Mid-tier exchanges that rely on mid-tail inventory will face obvious problems, while premium exchanges focused on premium inventory and branded publishers should see those efforts rewarded. Ultimately, we'll see over the next 12-18 months how this affects all market participants, and we should continue to track other social/viral publishers traffic levels and health over the coming months and quarters. TripleLift has historically focused on working with premium publishers, and the Facebook algorithm change may produce an increase in traffic and revenue to these partners that have focused on creating sustainable long-term brands and relationships with their audiences.